When you’re a design aficionado like Target Corp., no detail is too small. 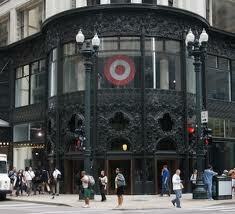 That’s especially true for Target’s new CityTarget store in Chicago, set to officially open on July 29. The company took great care to preserve the original look of the 19th century building on State and Madison Streets on the outside while designing a sleek, modern look on the inside. In one subtle respect, the store represents a huge departure from the other 1,700 Target locations across the country. For the first time, shoppers will hear music piped through the store’s speakers. Target officials certainly think music matters. But when you live and work in chaotic downtown Chicago, noise is a given. Things also move faster in the big city so Target wanted to put some “sizzle in CityTargets,” Schindele said. “Target wants to capture the [spirit] of the surrounding environment,” said Amy Koo, an analyst with Kantar Retail consulting firm outside of Boston. So perhaps some timely music will help motivate the urban shopper to purchase designer clothing to complement that toilet paper and cat food. Bullseye...Buble...what else could a Target Canada employee want?